Our company keeps on growing and growing, to consolidate this growth we have reorganised our organigram by creating new posts globally in order to speed up our international expansion. Teams of people who are more and more qualified, more professional and younger, give so much to those of us who are no longer quite so young, although we have the spirit and desire to never stop feeling that way. During 2018 we have brought on board more clients who have committed to us, something that is a source of pride. Great brands such as Gocco, Mc Yadra, Valecuatro, Naútica, Lander Urquijo y Sol’s have committed themselves to Logisfashion in Spain. We are also continue to experience growth with our existing clients, strengthening international clients such as Bestseller and Decathlon. And we continue to grow with the leading global enterprises. And what projects do we have for 2019? We are looking forward to the new year with huge enthusiasm and new projects. Logisfashion is 22 years old this year, and we are going to celebrate by opening two new centres in the city of Toledo and Ontigola that will see the light of day in the first quarter of 2019 and will strengthen our presence in Spain, and our retail and e-commerce offer. We are talking about the company’s largest distribution centres with a very high level of automation, measuring 115,000 m² and which between them, will create more than 500 new jobs. We will continue to grow at a rate of more than 25%, something that you can only achieve with a very well oiled machine, with the right procedures and systems, and with staff that are qualified and trained to handle them. Our goal is to reach in 2019, the €50 million objective that we had proposed for 2020, which is to say, to reach the target that we had set ourselves in our Strategic Vision 2020 Plan one year early! This growth creates opportunities for our staff who have grown along with us in 2018, developing international career plans in the company, with teams destined to Chile, Mexico and Germany. The opportunities are there and will continue to be there for anyone who would like to develop their career with us. In January we organise the Logisfashion Sales Summit Hong Kong & Shanghai, all our affiliates in the area will be participating, it represents an opportunity to get to know first-hand the advantages of our centres in Asia. We want to keep growing in the USA, Panama and Colombia, where we are already trusted by important clients such as Tous, Cueros Vélez, Crystal, Grupo Uripe, Dafiti, Papos Shop, and of course we continue to be committed to Mexico and growth in e-commerce. New clients such as Grupo Charly, Miniso, Swarovsky, Crystal, Repsol y Jimmy Lion can testify to this. This compels us to continue our commitment to process standardisation and to bring the #LogisfashionWay wherever we operate. 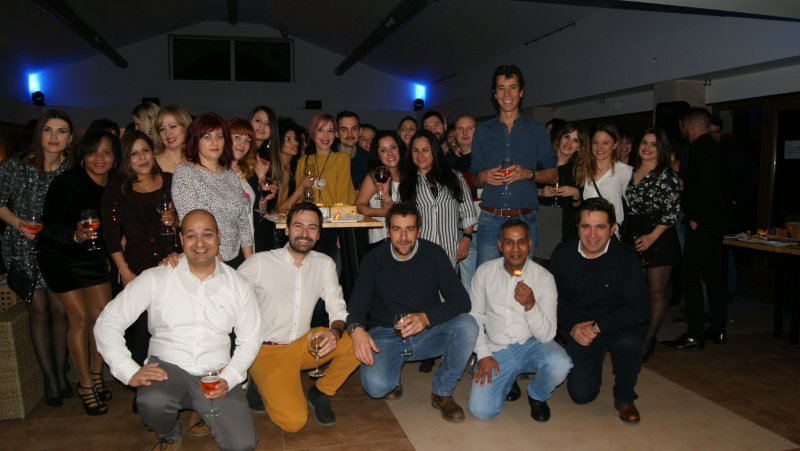 We are established in 11 countries in Europe, America and Asia, with 22 centres and more than 340,000 m² dedicated to our operations and none of this would be possible without all of those who form part of Logisfashion, from here my sincerest appreciation to all of you. Thanks guys, and let’s go for it!